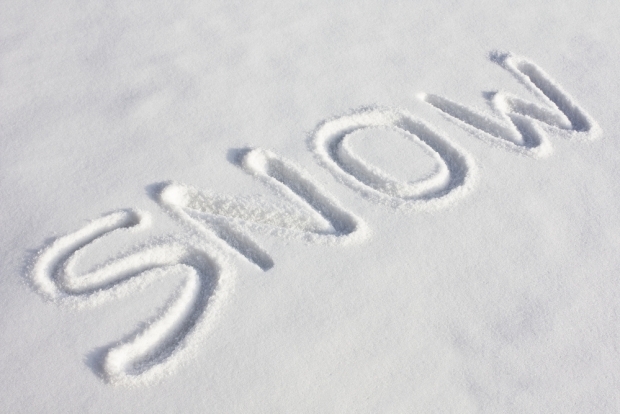 Snowfall across the D.C. region caused traffic trouble early Saturday morning. Dozens of vehicles were involved in two separate incidents on Route 95 north of Dale City, Virginia. In the first incident, a truck collided with a tractor trailer at 8 a.m. in the southbound lanes. 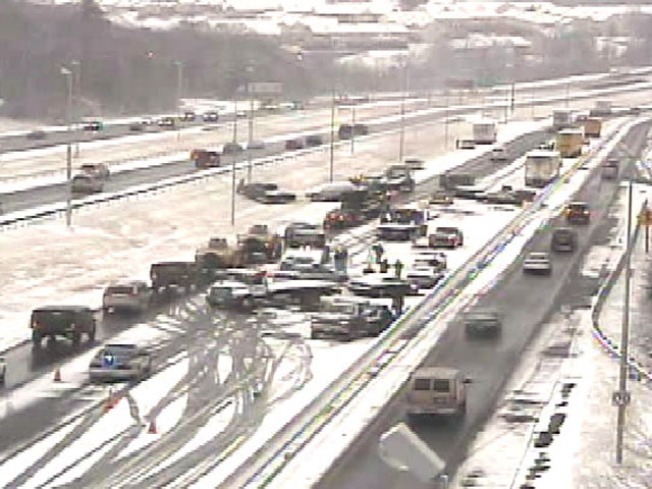 The accident caused a chain reaction on the slippery roadway that resulted in a 52 vehicle collision. In total, four tractor trailers were involved, and two other commercial vehicles. Ten were transported to area hospitals. No major injuries resulted, and traffic was re-routed on to HOV lanes. Another collision took place in the northbound lanes near the Dale City rest area. Authorities said fewer vehicles were involved and no one was seriously injured there, either. North in Montgomery County, police responded to a hand-full of fender-benders. No serious injuries were reported there, either. Most of the snow finished by midmorning, with the storm predicted to clear the area by early afternoon. Accumulations of 1 to 2 inches have been recorded around the region. The National Weather Service issued a winter storm advisory in suburban Maryland until 1 p.m. Saturday. Snowflakes should abate by sundown, but colder temperatures and higher winds will ensue. The wind chill will make it feel like temperatures are in the 20's on Saturday afternoon, and push down to the teens on Sunday. Another winter storm is on the horizon, scheduled to roll in late Monday night. More news on the size and scope as the weather gets closer.